Paris Saint-Germain star Marco Verratti believes Manchester United's victory against them at Paris was a fluke and has claimed that they would win the fixture nine times out of ten. After enduring a 2-0 defeat in the first leg of the Champions League quarter-finals at Old Trafford, the Red Devils were given little chance of a comeback due to PSG's staggering record at their home ground. But United, led by Ole Gunner Solskjaer, continued their revival and shocked the world with a 3-1 win at the Parc Des Princes. 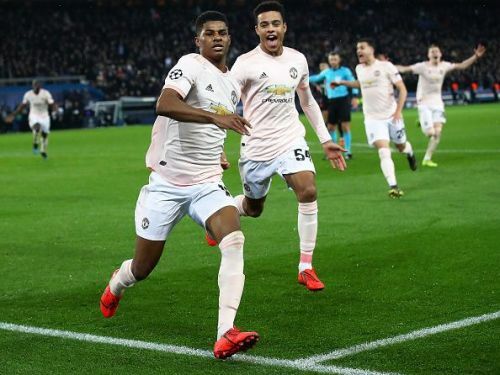 Romelu Lukaku struck twice and Marcus Rashford converted the penalty from the spot, which saw United mounting one of the best comebacks in the history of the UEFA Champions League. The Red Devils have still the Champions League and a top-four spot in the Premier League to play for. United are trailing 1-0 to Barcelona after defeat at Old Trafford and are hoping for another comeback going into the Nou Camp. Meanwhile, United are sixth in the Premier League, three points away from 3rd placed Tottenham. On the other hand, PSG have a massive 17 point lead at the top of Ligue 1 table despite playing a game less than second-placed Lille. But the defeat against United saw them failing in their quest for European glory and crashing out of the Champions League in the Round of 16 stage once again. Marco Verratti was present in the match against Red Devils but could not prevent his side from suffering another premature Champions League exit. The PSG star labelled United's comeback as a fluke. “Maybe I’m more frustrated than others," the Italian midfielder told Telefoot, "But, football is like that. We can’t have everything." "The fans are disappointed by the elimination. I’m confident in this team. This match, if we played it 10 times, we would win nine." Barcelona will host Manchester United tonight in the Champions League while PSG face Nantes next in Ligue 1.